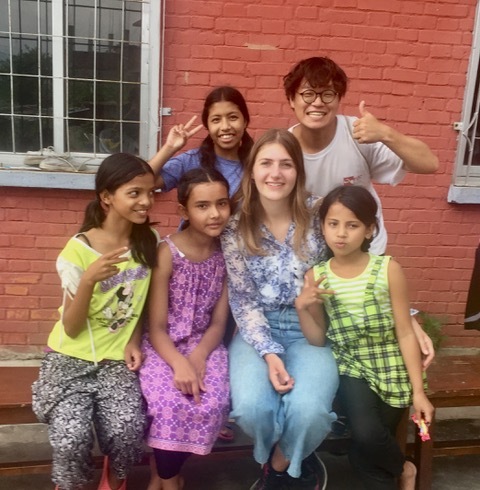 Volunteers are important to The Women’s Foundation Nepal: they bring a fresh perspective, new energy, dedication and caring and an appetite for challenging work. Some volunteers live locally while others live half a world away running local fundraising campaigns, managing our website, writing grants and keeping in touch with encouraging words. We are always looking for experienced professionals who have expertise in the areas of production, sales, communications, marketing, accounting, administration work, teaching, childcare or agriculture. To find out more, you can download the Volunteer handbook 2019 and read testimonials of some volunteers on this page. Priority will go to volunteers who agree to stay for 3 months or more (minimum stay is 2 months). We favour volunteers with a Bachelor’s Degree and work experience in their field of expertise. If you wish to volunteer with us, please send us your CV with a photo. What is your motivation behind volunteering? I was planning to come to Nepal a long time ago. I heard so many beautiful things about the country and about the people here. And I always knew I want to work in a Project and work as a Volunteer. I am so happy I found out about the WFN. Everything Iwas reading about the Organization was so inspiring and I knew it would be the right place for me. I was working with Children and Woman in Switzerland and it was a perfect opportunity for me. 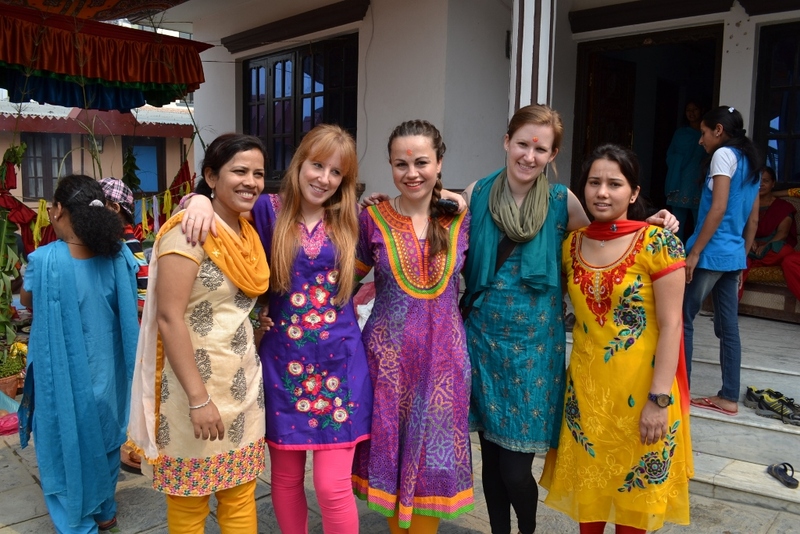 Why The Women’s Foundation Nepal? Everything I red about WFN was very inspiring for me and all the projects have such an important focus for me. I also liked the fact that WFN is looking for experienced professionals who have expertise. The organization provides a shelter home to women and children, they provide education, entrepreneurship skills and jobs and they have a day care center for children. WFN also provides psychological counseling and free legal support to women. The varieties of cases that they handle are of domestic violence, sexual abuse, witch-hunting as well as financial disputes. WFN provides women with skills and training, which allow them to help themselves. The children can go to school and they can study. What was your highlight during your volunteering time? The whole time in the WFN was a highlight to me. The moment I walked in to the home I felt such a warm welcome, it was so touching and overwhelming. I felt very welcomed by everyone in the organization. Everyone was so nice and friendly and they made me feel at home from the very first moment. I was part of their family right away. I lived with fifteen girls in Renu’s home. It was so nice to chat with them and to get to know the Nepali culture this way. I have met so many amazing women and children whose stories have inspired and impress me so much. We also had a lot of fun all together. I am very impressed with how the girls live all together and how much everyone appreciates and cares for each other. The care they take with each other is very warm hearted and this is so nice to see. I am very thankful for this great opportunity, and for all the experiences I enjoyed at the Women’s Foundation Nepal, and I will never forget it. After 5 years of intense studying and working on my career, I felt like I needed to do something that was out of my spectrum. I am very glad to have grown up in a country that provides a good education and I wanted to use what I have learned to help others who might not be as fortunate as I was. In the instant I heard about the Women’s Foundation, I knew that it was the right place for me. I strongly believe in women empowerment and, having read about the issues of women in Nepal and the actions of the WFN, I was amazed to see that the foundations brings the concept of women encouragement to a whole other level. What was the highlight during your volunteering time? During my time at the WFN, I have met many amazing women whose stories have inspired me immensely. Wherever I went, I received a warm welcome and it did’t take me long to become a part of the big WFN family. My highlight was definitely the visit of the shelter home. Even though I only spent a short time there, I immediately realized what a special place this was and I genuinely enjoyed the time with the women and children. I have to admit that I did not leave Canada to volunteer in the first place. I was travelling around New Zealand and then I got some news from my aunt who volunteers at WFN. She told me that I was more than welcome to make a detour to Nepal. I thought it was a really good idea as I could volunteer and at the same time discover a new country which turned out to be completely different from Canada. I chose WFN because my aunt has volunteered there for 7 years and over the years, she told me about all the things WFN has achieved. I spent 5 months volunteering and I can confirm that WFN really does do amazing work. They make a huge impact to the lives of the people they are helping. My highlight was definitely helping at the shelter home. The children are so amazing, always smiling and energetic. They are always happy to see you and are not afraid to show their home to you. After spending time with them you can feel how strong and positive they are. Everybody at WFN is very nice. They welcome you as a member of their family and make you feel loved. I have spent an amazing 5 months volunteering at the WFN and it’s an experience that I will never forget. Travelling to Nepal for the first time I wished to volunteer and contribute my professional skills from design and social work in meaningful way. I love being in woman-centred environments and I was seeking to volunteer in an organisation that used a grassroots approach to working with women and children. Previously working for a women’s organisation in Australia and as a social work student, I was seeking a volunteer program that aligned with my experience. I learnt about the Women’s Foundation Nepal (WFN) through the Global Women’s Project (GWP) who are one of their international partner organisations. WFN provide many services to the community such as a Women’s shelter, Textiles co-op, Micro-finance opportunities, Leadership training and so much more. I was interested to learn about the initiatives in which women work with women to create long-term changes for well-being and their livelihood. It was so inspiring to spend time amongst lots of resilient women and men advocating for equality on all levels; as individuals, within the home and the community. I interviewed a couple of the Maheela staff members (Textiles co-op) with Prabesh assiting to translate which was a very special experience for me. I was deeply moved listening to the women’s stories and learning about the ways in which WFN have impacted and transformed their lives forever. Living in the solidarity home was so heart warming and fun to share all delicious meals with the huge WFN family!! So many special memories I feel grateful for. We planned to go travelling around the world in 2014 but only travelling seemed a bit simple and so we wanted to get to know a country from different perspective. 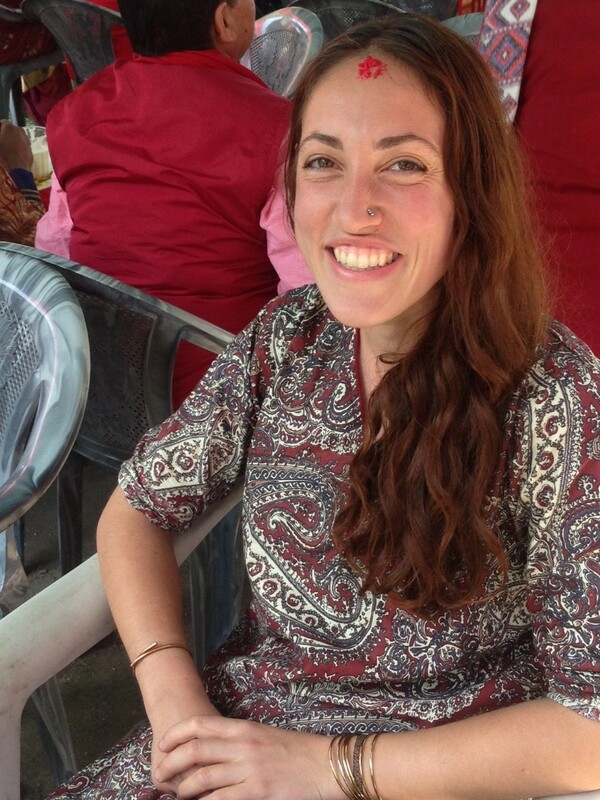 Working in Nepal as volunteers allows us to do something good on one hand and to learn a lot on the other hand. 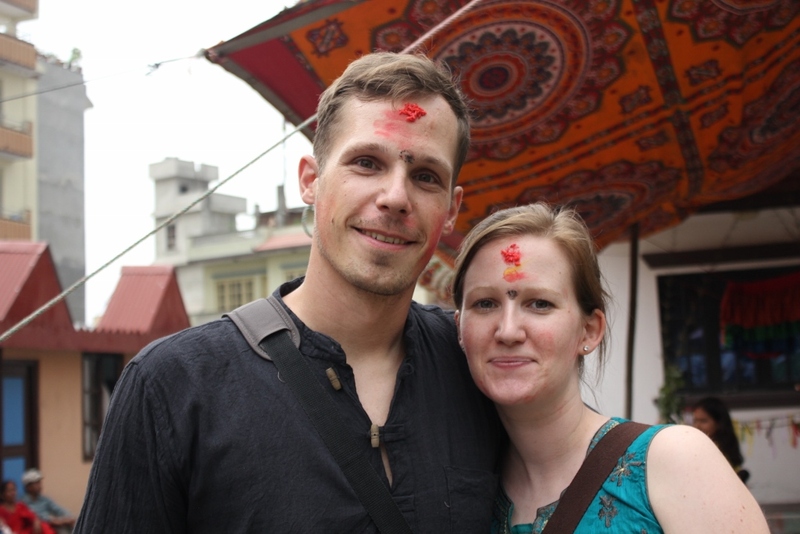 We volunteered in Nepal through an organisation from Austria. They suggested that we should volunteer at the WFN because of their need for professional skills. After finding out about the organisation and meeting the people here, we were sure that this was the place for us. Working for WFN and Maheela and creating two new websites made us feel that our volunteering had created something lasting and that we have learnt so much from our work. After spending three years qualifying as a chartered accountant in London I was ready for a change from the corporate way of life. I have spent a lot of time travelling in Asia and I wanted to return to my favourite country, Nepal. 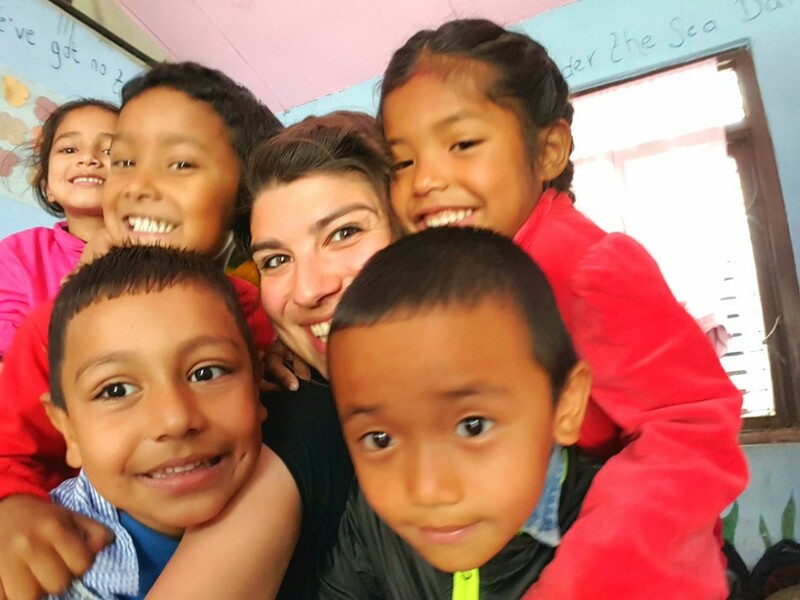 From my travels I had seen the poverty and suffering in Nepal and I wanted to use my professional skills to help a charity and give something back to the country. 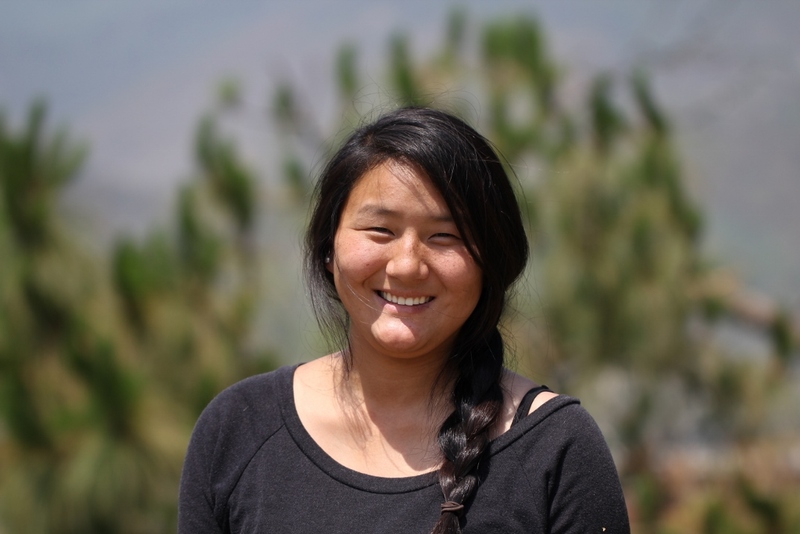 I chose WFN because I was very interested in their focus on women’s empowerment and campaigns against sexism in Nepal. I liked the fact that they had a wide range of projects (from a shelter home to a micro-credit training programme) as there were lots of different things I could help with. I wanted to be part of an NGO that was growing and needed help in the process of expanding. I thought I would be able to help in the office but also wanted to help out caring for the children in the shelter home which has been a lot of fun! My highlight has been staying in the WFN solidarity home. There is such a wonderful sense of family life and community and from the moment I arrived I felt very welcomed and happy. I was worried when I came to Nepal I would miss my family and friends but living at the solidarity home means I have a new family! There are always people to chat to and have fun with and the food is very delicious (‘mitosa’ in Nepali). It has been great living with Nepali people as it is a great way to learn about the culture and I have also learned lots of the Nepali language in the process. An added bonus is that there is no commute to the office as it is next door to the solidarity home!